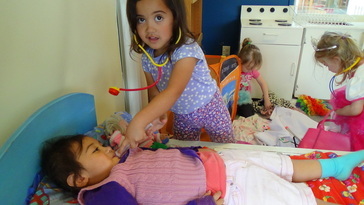 Conductive Education Canterbury offers home based services for infants and children with high health needs or who otherwise find it difficult to attend the centre. Specialists visit the children and their families in their own homes; providing advice and guidance in all areas of learning and development and supporting families to incorporate intervention in to the natural routines of their family. Children are supported in group sessions by our experienced staff with continued parent input. These sessions are scheduled in consultation with parents and can range from children attending 1-3days per week and up to 6 hours per day depending on the child’s age and needs. 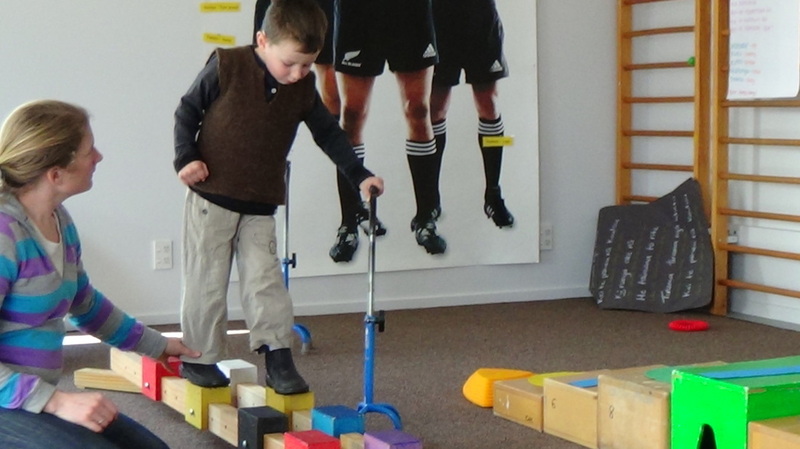 These programmes use New Zealand’s early childhood curriculum, Te Whāriki, as the basis for each child and groups learning journey and incorporate the Conductive Education philosophy into all aspects of the routine. Conductive Education Canterbury provides high staff to child ratios to ensure that children are able to participate and benefit from these programmes. We encourage parents to attend at least one session per week alongside their child allowing them opportunities to learn together with the support of our specialist staff. Families will be supported to develop strategies for incorporating intervention activities in to their everyday routines and activities at home and in the wider community. ​Infant Massage uses a combination of Indian and Swedish massage strokes, Reflexology and gentle Yoga stretches. The massage strokes encourage circulation and relaxation, the Reflexology works on the feet to release tension elsewhere in the body, and the yoga stretches help to develop suppleness in the muscles and joints. The combined effect promotes; brain development through better sensory awareness, relaxation for parent and child, better sleep patterns, easing of discomfort from growing pains, gas and constipation and emotional development through establishing a stronger bond. Infant Massage is beneficial for parents and babies and has also been proven to be of benefit to toddlers and young children living with disabilities or delays. 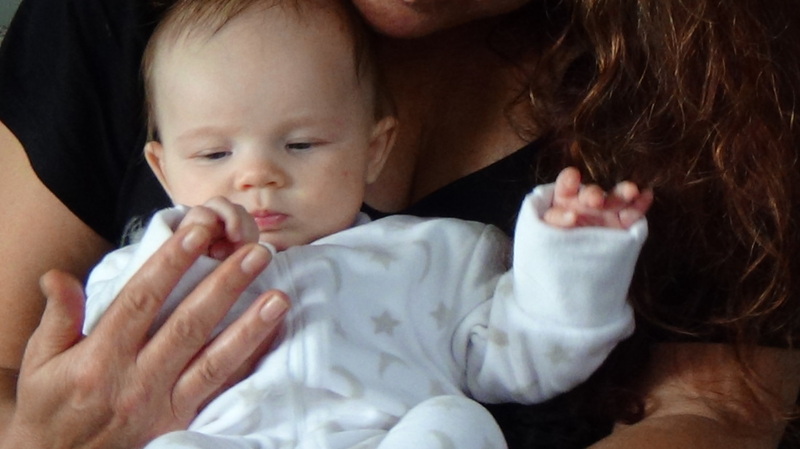 The massage of eventually the whole body and the learning of the strokes are delivered over a 5 week course in which you learn to massage your child. 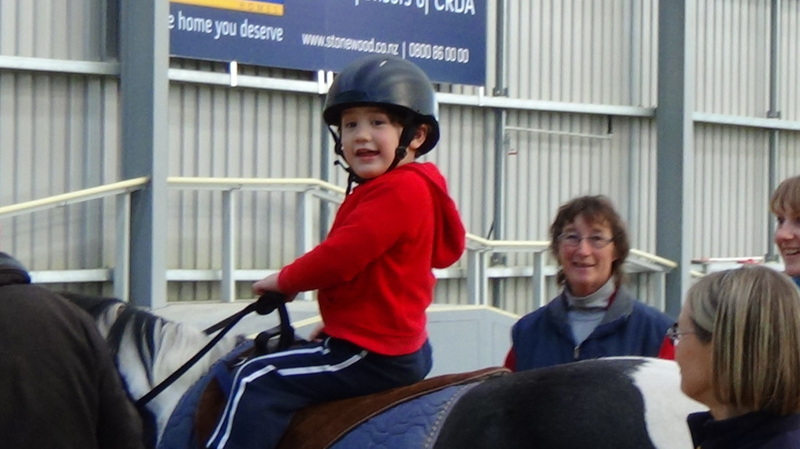 "For the young of age with a physical disability this not only means physical therapy appropriate to their condition, but the opportunity to partake of an activity that crosses physical barriers and gives them a mobility more in keeping with able bodied children their own age...The benefits gained from therapeutic horse riding are improved balance, coordination and posture. Confidence and self-esteem also get a boost! 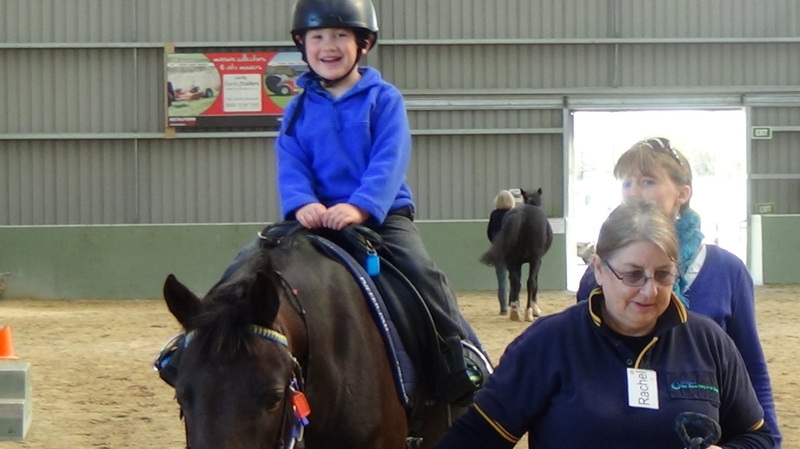 Working with horses improves communication and social skills." Weekly swimming at the Burwood Hydrotherapy Pool is available to all children. 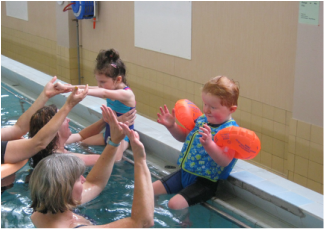 Our weekly swimming sessions give the children a chance to develop confidence and skills in the water. Further to this, hydrotherapy uses warm water to assist and resist body movements as well as relax and strengthen muscles. These types of aquatic activities can help the development and acquisition of motor skills on land. Gaining communication skills by sharing ideas, games and interactions.